Where could you find the most basic ingredients into hearty dishes that enrich taste in Russia? There are many well-known foods that were produced in Russia that can bring the best of all the ingredient available in the vast area of Russia. These Russian cuisines you have to try and will possibly surprised that there is more to taste than potatoes and vodka! There are more to drink than just vodka, Most Popular Fruits To Consume In Russia. 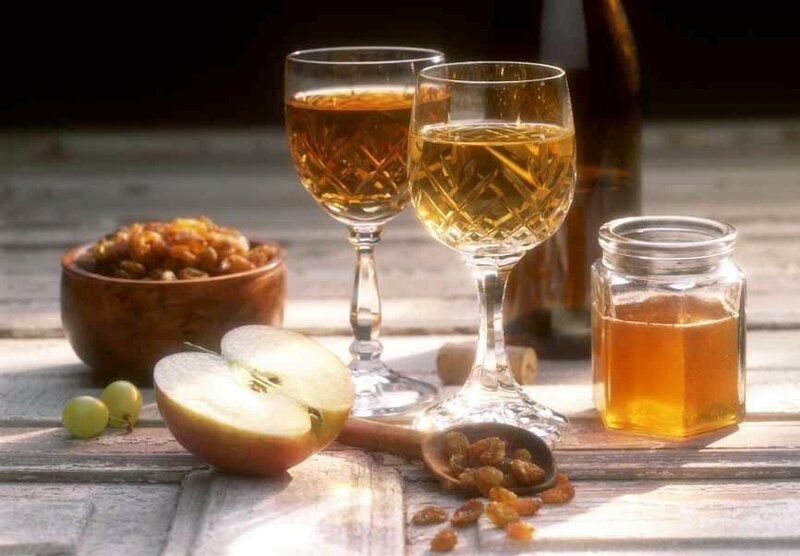 One of them is wild honey in the Slavic area that can be fermented into drinks. Medovukha is a type of alcoholic mead and particularly famous Suzdal. Before tsar time only the rich and nobility can drink this expensive drinks. Blini has a crêpes texture slightly thicker and greasier. It also varies in filling such as meat, cheese, powder sugar, smoked salmon, caviar, Smetana (a thick and heavy sour cream) and dill. Blini is also a popular dish during the changing of the seasons. The shape itself symbolize the sun that warm, round, and golden. In Russia, they are made from buckwheat in savory or sweet varieties. Moreover, Russians even Celebrating Maslenitsa With Blini just to celebrate this staple of Russian cuisine. Many Russian Meat Based Food That Will Make You Eat with Gusto one of the most popular is Beef Stroganoff. This strips and a thick beef creamy sauce has a juicy texture that is very mouthwatering. This dish is also a popular menu among foreigners and non-Russian that can easily found in many restaurants in Russia. It is the ultimate drunk food with meat-stuffed light smetana with tortellini like texture. Pelmeni is a pastry dumpling that can be served alone, slathered in butter, sour cream, or in a broth. It is among the many Russian cuisines that are easy to cook and doesn’t take too much time. Moreover, this dish has been a part of the Russian table from the good old days that remain the best favorite of all times. Furthermore, fried pelmeni is also students favorite foods with simple butter or oil to get crispy Pelmeni. It is a typical drink that is Popular And Tasty Russian Beverages For Children summer, especially in the summertime. Kvass is a fermented drink from rye or bread which contains malt, just like beer. However, it has low levels of alcohol, which is why Russian children are allowed to consume it. Moreover, it is considered a national drink alongside popular vodka. It is a true taste of Russia as a popular drink for all ages. However, nowadays Kvass has a low alcoholic concentration, which is not recommended for kids under 3 years old. Moreover, there are some facts about the driving culture in Russia, especially their drivers, don’t drive after you drink kvass. There is a good change driving under the influence of kvass is includes as something that can get you arrested in Russia. These Moscow famous doughnuts are round sweet with a peck of sugar. These treats are Most Popular Cuisine In Moscow Russia nostalgically memorable. They as they’re easy to make and common comfort food. The Russian doughnut has balls shape, fry and covered in powdered sugar. For a casual treat, this dish can be found all along the streets. This seasoned rice with meat dish is one of the best taste in Russia. This classic Russian comfort food is basically rice with a special broth along with vegetables and meat of your choice. You can either use lamb, beef, chicken, or even pork as the protein. Moreover, the flavor of the meat will enhance the tastiness of the well-cooked rice as a family dinner table dish. This snack is a sweet treat famous in Russia. The large baked or fried buns are typically stuffed with beef, salmon, mashed potatoes, mushrooms, onions and egg, or cabbage. However, it also can be sweet with fruit, jam, or cottage cheese. Moreover, the sweet snack is also one of the Most Popular Russian Chrismas Recipes enrichen any Russian Christmas dinner table. This Cabbage soup primary use various vegetables that grow widely In Russia. Moreover, it is also a large part of Russian culture, especially during summertime. This dish is served in a wide variety of ways: with or without meat, with fish, roasted vegetables beforehand or not. This staple porridge is What Russian Eat For Their Daily Breakfast. it is traditionally made of crumbly buckwheat, thickened with water or milk and seasoned with butter, served with fried onions, or with sugar and milk. Alenka chocolate is the most recognizable brand of Russian chocolate which is the iconic taste in Russia. Russia releases a food program so that people can enjoy a mass milk chocolate production which is delicious and affordable. The Alenka Chocolate display a cute baby girl that still adorns to this day as the wrapper cover. Therefore, Alenka becomes one of the most famous chocolate brands In Russia. The Altai Mountains are Russia’s largest buckwheat fields among the many amazing natural ingredients from nature that highlight the taste of Russia. The areas are filled with bees that later on product great Russian honey. It has a liquid consistency and a dark amber color with a distinct taste of Russia. Furthermore, it is a perfect addition to a cup of tea made from Altai herbs. The popular traditional Russian sweet is something that you can’t miss out, especially during holidays. Chak-chak is the most popular “eastern” desert in all of Russia. It combines flour, eggs and honey as a stick shaped the dough covered in honey syrup. This Most popular fish dish is very easy to make. The Arctic delicacy is a thin fillet of frozen fish dipped in a salt and black pepper mixture. You can use broad whitefish, omul, sheefish, sturgeon, muksun, golets, taimen, peled and white fish common fish in Russia. The printed gingerbread is a Russian delicacy with various artistic scenes decoration on them. The gingerbread is soft filled with jam or honey. Moreover, it is probably the most famous Russian sweet there is which are actually make a great souvenir. Tula is a region 183 kilometers from Moscow that has a special rectangular gingerbread stuffed with moist sugary drawings. Any taste in Russia represents peasant common traditional food that displays the rural areas of Russia with cold freezing, long-lasting winter. Any cuisine or drink that become an icon of Russia is to give a warm feeling to encounter the long winter ahead. Therefore, it mainly highlight carbohydrates and fat ingredient rather than proteins.